1. In a pot, boil beets on high for 2 hours. Peel and cut into 1 inch slices. Wash, core and cut apples into 1 inch slices. 2. Combine beets and apples in large bowl. Add icing sugar, red wine vinegar and black pepper. 3. 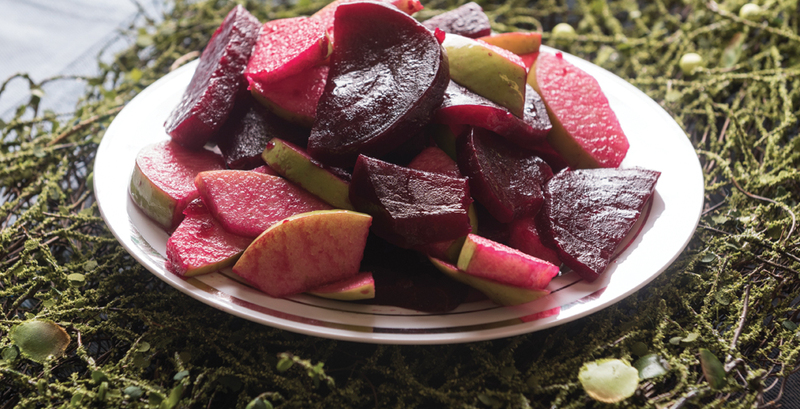 Toss beet and apple slices with dressing, coating well.